I went into this book with very little knowledge of it, other than it is a new contemporary read. 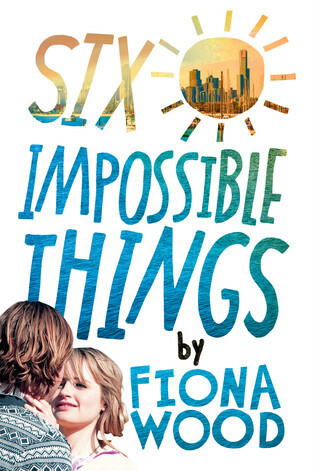 Six Impossible Things was the perfect book to cozy up on the couch with as the rain splattered against the windows. I’m not an aficionado in Aussie lingo, so I had a hard time understanding some of the Australian slang/wordage, but other than the small slang barrier, I enjoyed this book. In the beginning of Six Impossible Things , the saying “when it rains, it pours,” fits Dan’s life perfectly. All has gone wrong in Dan’s life, but as the story progresses, life’s mishaps slowly begin to mend. Dan wants to do things right by his family and his friends, but sometimes he breaks the rules for selfish reasons. In the end, Dan matures into a likeable main character for both the reader and his fellow characters. 1) Dan is a self-proclaimed nerd. He has great taste in music and has the most perfect friendship with his dog. 2) Howard, Dan’s dog, is a Dan-proclaimed “psychic” and knows how to correctly respond to all situations. EEEeee!!! Howard steals every chapter that he is in. You will want to hug him and never let go. 3) Dan loves making lists. I love making lists. So in other words, Dan is perfect. HAHAHA! 4) This book will tug at your heart strings. Dan has to deal with divorced parents, in which his dad leaves his family bankrupt and homeless. Dan’s mother starts a business with wedding cakes; her only downfall is that she usually convinces her customers that marriage is a fluke. And while Dan’s family life is in knots, he has to go to a new school and deal with bullies. AHHH SO MANY DILEMMAS AND PROBLEMS FOR SUCH A YOUNG GUY. 5) Dan has a dark but witty sense of humor. It’s his best quality and a great mechanism to deal with all that goes wrong in his personal world. 6) Dan is a black sheep who becomes the ultimate hero. He cares for his old and new friends, he helps his mom through emotional and financial troubles, and in the end I wanted to go back to high school, befriend Dan. His sarcasm and philosophies are validating…he definitely has swoonworthy qualities. Note: This review was previously posted on my Goodreads account on June 28, 2015, and has been updated for my blog. 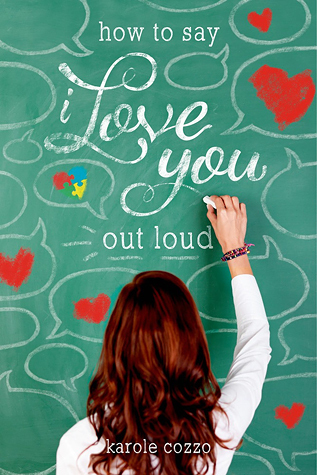 I received an Advance Reader’s Copy (ARC) as a winner of NOVL’s monthly newsletter giveaway. Thank you, NOVL and Poppy! I was not provided a copy of this book by the author or the publisher as an exchange for a review; I reviewed it at my own discretion. All statements and opinions in this review are mine. WOW this story reeled me in and I don’t want to be casted back out! If you know me, I have never been a go-to contemporary reader; however, in the last year, I am trying to change this fact about me and read more YA contemporary novels. I have never read a Kasie West novel, and after reading this book, I may have to gobble up her other books ASAP! West’s main character Gia is portrayed so accurately as a modern-day teenager–at first she is self-involved and constantly worried about what her “friends” think, but over time she begins to mature. Straight from the beginning, Gia recognizes that her words and actions are self-centered. But after asking for a favor from a concerned stranger (that would be Hayden, the fill-in boyfriend/Bradley), Gia starts to analyze herself, her friends, her frienemies, her family, her actions, and social media’s influence on her life. And throughout her analysis, she begins to change and develop into a likable and self-conscious person. This book is well-paced and each word tugs at your heart and your gut. Gia straight out says or portrays that she needs to change, and as a reader, I enjoyed that process of her evolution. 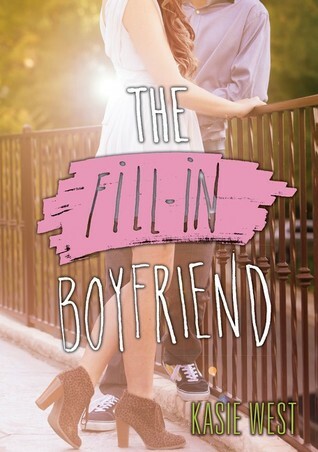 The Fill-In Boyfriend is a quick read–I couldn’t put it down–and adding a smart, observant, “geeky,” and a lay-it-all-out-on-the-table fill-in boyfriend, like Hayden, to expose Gia’s flaws and strengths made the story 10 times better. Hayden is swoon-worthy and definitely a friend to be trusted. The only flaw I saw with the book was that I thought it was too short, but I may be acting bias because I want more Gia and Hayden banter/conversation. “The librarian lowered her brow disapprovingly. ‘I don’t think we have any biographies on people who had to deal with d-bags'” (page 217 of the ARC). “I was thinking about vanilla but then I thought, ‘That is so boring, Gia will think I’m the most boring person ever. '”…”So then I thought, ‘I bet Blake here will tell me what to order,’ but he was no help whatsoever. Thanks a lot, Blake.” (page 225 of the ARC). Note: This review was previously posted on my Goodreads account in May 19, 2015, and has been updated for my blog. 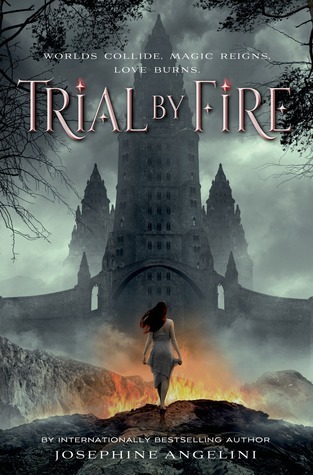 I received an Advance Reader’s Copy (ARC) from Epic Reads as a participant reviewer for their new Early Readers Group in the summer of 2015. Thank you, Epic Reads and HarperTeen! All statements and opinions in this review are mine. The Witch Hunter is a beautifully written and action-packed, debut novel about a young girl named Elizabeth Grey. Elizabeth has grown up learning the art of witch hunting. In the craft of witch hunting, she is inculcated with the idea that she is providing justice and purification for a kingdom that she is willing to protect. However, through life’s unexpectancies, Elizabeth’s world is put through a whirlwind, and she finds herself being accused of witchcraft. After weeks of incarceration, she is saved by the single wizard that she was told was her worst enemy–Nicholas Perevil. In Perevil’s protection, Elizabeth is healed by magic–something she was conditioned to loathe. More importantly, she discovers that she plays an important part in breaking the curse casted on Perevil by someone she trusted. Elizabeth’s journey is filled with betrayal, a handsome healer, jolly pirates, whimsical forest parties, fancy ball gowns, cursed tablets, mythical swords, giant red-eyed rats, the crumbling of old friendships, and the growth of new friendships. 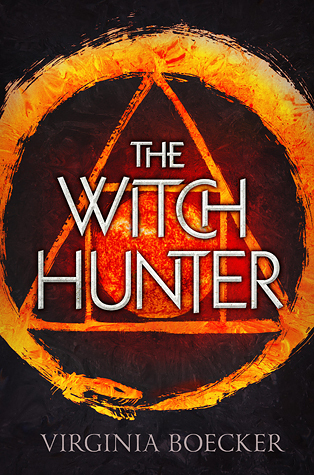 The Witch Hunter is a fast-paced, fantasy novel that will engross you in an enchanting world of betrayal, redemption, and a passionate heroine set forth to change a world she once loved. NOTE: This review was previously posted on my Goodreads account in May 25, 2015, and has been updated for my blog. I received an Advance Reader’s Copy (ARC) as a winner of NOVL’s monthly newsletter giveaway. Thank you, NOVL and Little, Brown Books! All statements and opinions in this review are mine.